On February 11th and 20th from 6pm to 8pm, join certified Yoga therapist Jess Maitri for a workshop called “Yoga Therapy Workshop: Befriending the Body.” Yoga therapy aka Yothera is meant to help increase self-esteem, mental well-being, as well as work through anxiety and depression. Although one wouldn’t expect the word yoga and therapy to go together. But in actuality, these two go together more than expected. 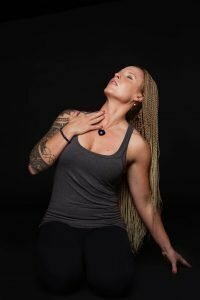 That’s because this practice isn’t solely focused on how great you are at yoga techniques and practices. But rather, this practice is meant to address the condition and the instructor is meant to provide you with techniques that help you feel better. On Saturday Feb 23rd, join our very own Carrie Goeddertz for a Mala and Yoga workshop from 2pm to 4pm. This is bound to be a fun and creative workshop. As it’ll be a chance to practice yoga and then follow it up with making your very own Mala meditation bracelet. Yin Yoga is a slower paced practice meant to create stillness and also create space in your mind. It also targets one’s connective tissues and ligaments as you’re holding each stretch pose for upwards of 2 minutes. Take time out for yourself and join us this February for what is bound to be a restorative and connective one yet. To learn more about not just our February workshops but others being offered, please visit us here!